I just got home from class, made a trip to the grocery store (which honestly looked like it had been ransacked!) 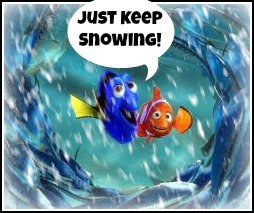 and now there’s nothing to do but wait for the snow! There’s nothing better than curling up by the fire with a good book and a mug of tea during a snowstorm, so I figured I’d share with you a few of my favorite books! The Long Run by Matt Long – this is the #1 book I would recommend to EVERYONE to read! I wrote a short post on it last year (which you can check out HERE), but it’s the story of NYC Firefighter Matt Long’s incredible journey to re-claim his life after being hit by a bus while riding his bike to work. In a matter of seconds Matt went from being an Ironman and Boston Marathon qualifier to fighting for his life. I am sure this book will inspire anyone who reads it, but I promise it will mean that much more to you if you’re in the middle of training for a marathon or endurance event! Eat & Run by Scott Jurek – this is the story of Scott Jurek’s life and his unexpected rise to ultra-marathon greatness. Throughout the book Scott also shares his unusual decision to eat a vegan diet as an elite athlete and shares some of his favorite recipes. Born to Run by Christopher McDougall – a story of two worlds coming together for the love of running when a race is held in Mexico between an ancient tribe of barefoot runners and a group of Americans (including Scott Jurek!). 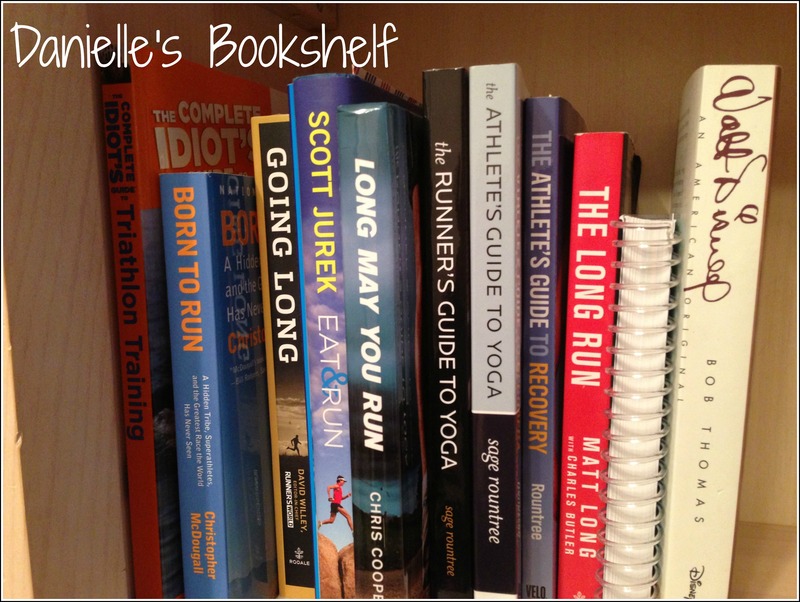 Going Long – a collection of short running related stories from Runner’s World magazine. Pick up this book for regular doses of inspiration! The Runner’s Guide to the Meaning of Life by Amby Burfoot – this is a quick and easy read and I guarantee it’ll really get you thinking about how many things you learn as a runner apply to the rest of your life! Full of good quotes! Walt Disney: An American Original by Bob Thomas – a wonderful biography on the life and work of Walt Disney. This book was written with full cooperation from the Disney family so you can be sure it’s accurate and full of insider stories. I love reading anything I can about Walt Disney, I find him absolutely fascinating! The Vault of Walt by Jim Korkis – this book is full of untold Disney stories about Walt, the Disney films and the Disney Parks. It’s great for anyone with a short attention span since it’s broken up in to short stories! So, what’s on your bookshelf? I love reading and am always looking for new recommendations! P.S. 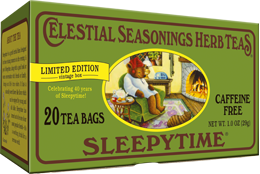 if you’re wondering I’ll be drinking Celestial Seasonings Sleepytime tea, it’s been my favorite for years! Haha, I love that you said you pretend you read a lot! I used to read more too, I read every night in bed, but my husband is more of a TV in bed person…it’s a debate we have all the time and he knows I actually like when he travels for work (which is a lot) b/c I can read before bed! Great recommendations-I have a lot of ‘eh’ books I’ve dabbled in lately. Looking for something really good to get back in my reading habit. Seriously my Amazon account is crying because you recommend such awesome books, I just can’t resist! Now, I only need to find more time…. Let me know if you read any of them, I’d love to know what you think! 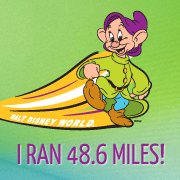 Haha, I know I keep saying it, but I can’t recommend The Long Run enough, his story really is amazing! I’d love to hear what you think of them as you read them! « Trying a New Workout…or Two!